Here we have the first QOTSA album. Very tough to find on vinyl. Two slabs of vinyl in a gorgeous gatefold album cover. The newest one from this aboriginal folk band hailing from central Labrador. Classic Canadian folk depicting the life and culture of the people. Probably the band's best selling album to date. Includes the famed title song, as well as new and old classic songs of Labrador. 2001 release from aboriginal Labrador band. More traditional and native folk songs from the Canadian east coast. The newest release from this Labrador band who combine accordion instrumentals with Canadian east coast accordion flavoured country rock. Rare live unplugged concert. Deleted, discontinued and long since out-of-print. Only available for purchase off the stage. Gord Shawcross, former frontman of Toronto's roots-rockers Monkey Trial. His first solo album ~ a real gem with a slight Steely Dan feel to it. Rob's release from 2001. His strongest release to date. Former frontman of the Riverdogs goes full circle continuing to discover his roots. Rob's heavy electric release from 2003. More smoky roots'n roll from his former frontman of The Riverdogs. A must-have for every fan! Now based in Hamilton Ontario, Rob delivers his first fully Canadian release. A spectacular debut from this awesome singer/songwriter! Rare independently released cassette offers some early demos and some stuff which never did get to their major label Denon releases. An extraordinary resonator-guitarist from Hamilton. His debut release spawned two hits which were used in TV's hit series Queer As Folk! Their major label debut on Denon Records Canada. Contains the hits "Eskimo" and "Americans". Rare! 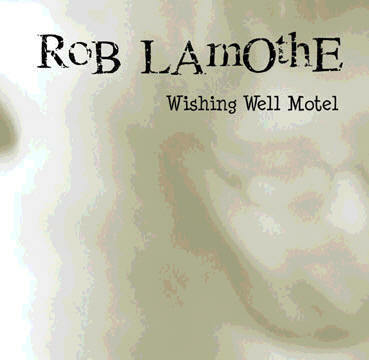 Jamie's newest release offers more of a rock-edge feel from this singer/songwriter with more fabulous resonator-guitar! The band's sophomore major label release from 1984, containing the hits "REMember" and "Pants". Rare!